Quartz in drusy hemispherical crystal clusters. 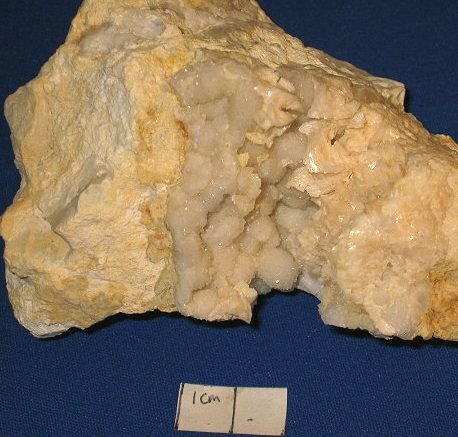 From the highest dolomite-producing layer in the quarry. Collected in 1986. Specimen 1250 in the collection of the photographer, Alan Goldstein.